Tá 9 imreoirí peil gaelacha (cailíní) ag glacadh páirt i mblitz amárach 20/10/15 i gCionn tSáile. Tá an fhoireann ainmnithe. Ag siúl chuig CLG Chionn tSáile, fágaint ag a 11.50 r.n. Ag siúl ar ais ar scoil, ar ais ag a 2.15 i.n. 9 football players (some 5th and 6th girls) are participating in a football blitz tomorrow 20/10/15. The team has been named. Unfortunately the number allowed on the panel was limited. We will walk to Kinsale GAA pitch, leaving school at 11.50 am. We will walk back to school, arriving back at 2.15 pm. Beidh ranganna Gaeilge i gcóir tuismitheoirí, ar fáil d'éinne le suim iontu, tar éis an briseadh meán téarma. Ag tosnú ar an chéad seachtain, Dé Luain, 02/11/2015 (ag a 7.30pm - 8.30pm). Leanfaidh siad ar aghaidh ar feadh sé seachtain. Beidh siad oiriúnach do tuismitheoirí le cúpla focail, a dteastaíonn uatha chuir lena chuid Gaeilge. Beidh sé 50e do na ranganna ar fad. Fág d'ainm le Hilda má tá suim agat. Braitheann na ranganna ar an méid duine go bhfuil suim acu. Irish classes for parents will be starting after the mid-term break. Starting on the the first Monday back, 02/11/2015, they will continue for 6 weeks from 7.30pm to 8.30pm. The classes will be suitable for beginners and for those who have a few words and wish increase their vocabulary in a relaxed setting. Please leave your name with Hilda next week (19/10/15 - 23/10/15) if you are interested. The running of the classes will depend on the amount of interest. Don’t worry – if the book you were hoping to purchase has sold out – we can order it for you – just ask at desk and the girls on duty will complete an order form for you. 8.30am to 9.00am and 1.30pm to 3.00pm each day. 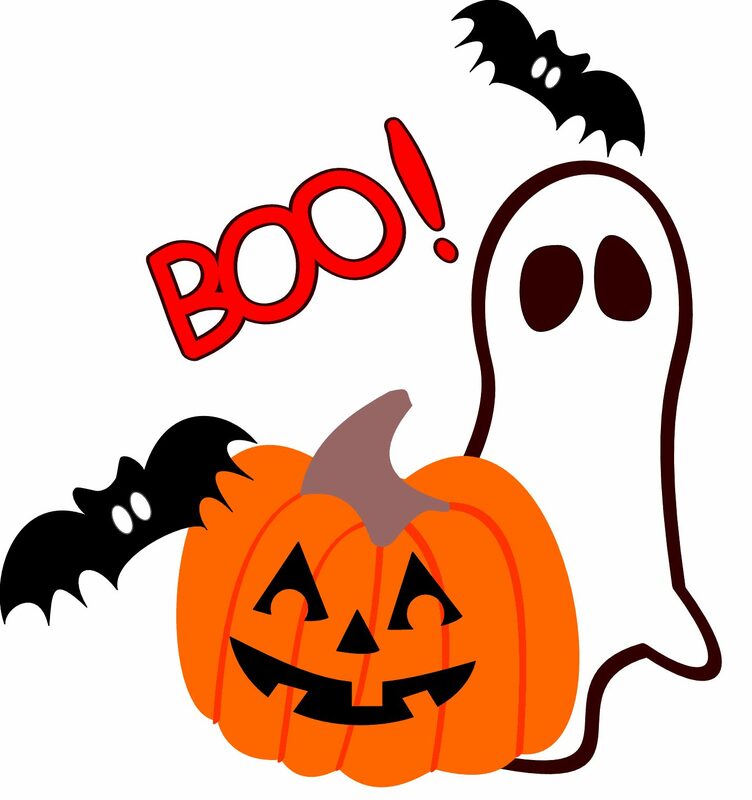 You may be aware that the Book Fair is starting in the School tomorrow morning (14th Oct 2015). Books are always a great idea for presents and why not be super organised and do some Christmas Present Shopping at the Book Fair. This is an important Fundraiser for the School in terms of receiving Free Books. The more books that the School sells over the course of the four days – the more free books we earn for the school. Usually about 60% of the sales comes back to the school in the form of free books. (This is the agreement between the school and the Book Fair company). So it’s a win-win! 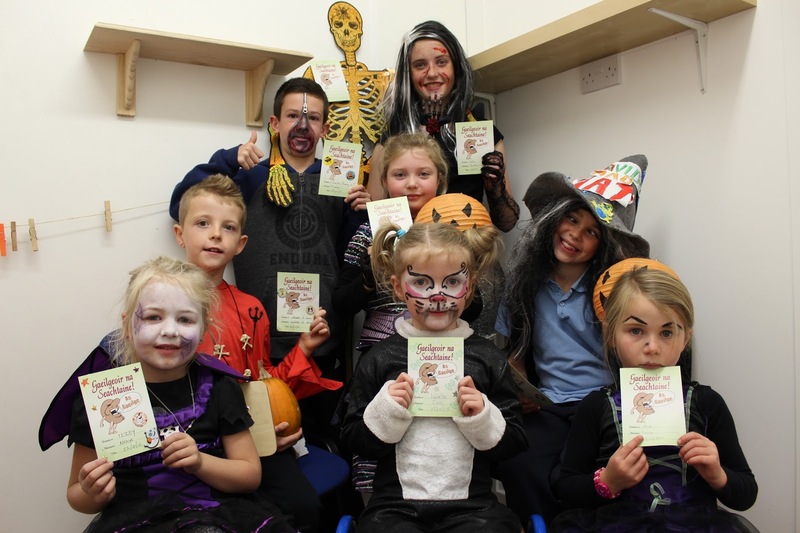 You get to buy and enjoy fabulous books and at the same time you are supporting our School by ensuring that every child in the school gets the opportunity to read more fantastic books during school hours. Looking forward to seeing your all there. Go raibh mile maith agat go léir. 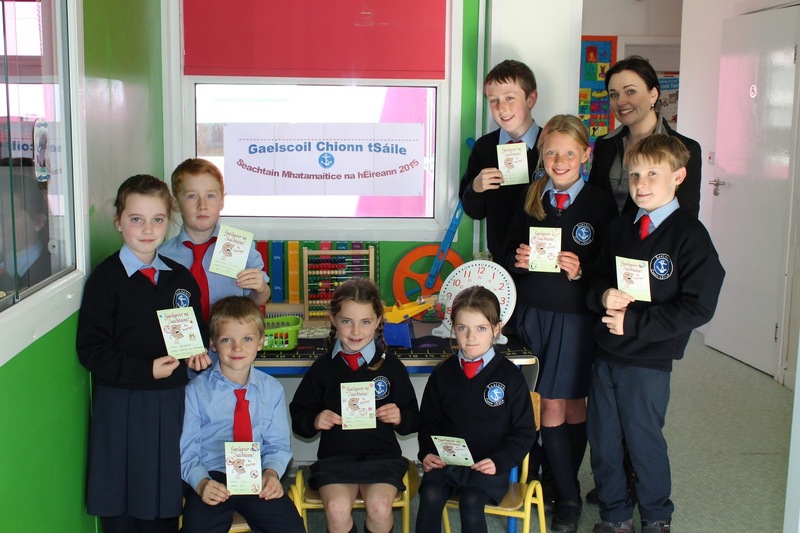 Gaelscoil Chionn tSáile V Ballinspittle N.S. i CLG Baile an Spidéal 14/10/15 @11.10 am. i CLG Baile an Spidéal 14/10/15 @ 12 pm. Pé thoradh a bheidh ann amárach, táimíd ana- mhórtasach astu cheanna féin agus is éacht mór é an cluiche leath-cheannais a shroichint. Whatever the outcome tomorrow, we are very proud of all the players. To have reached the semi final in both categories is a great achievement. Maith sibh! Bígí linn, Gaelscoil Chionn tSáile abú! 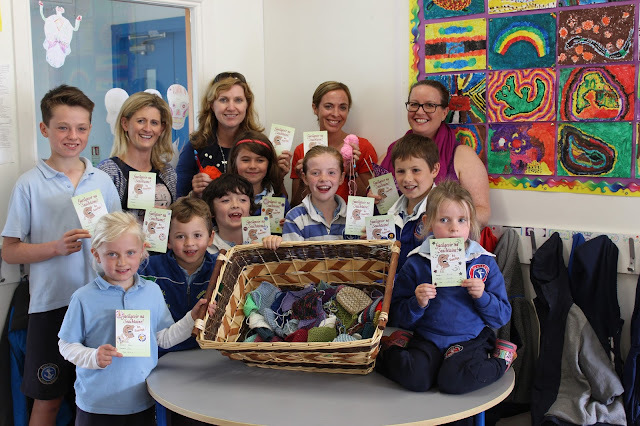 Is oth liom le rá go bhfuil Múinteoir Alma Ní Riain ag fágáil slán leis an Ghaelscoil an tseachtain seo chughainn agus ag tógaint suas post i mBaile Átha Cliath. Táimid ana bhuíocha le hAlma as an sár-obair atá déanta aici le páistí na Gaelscoile le bliant anuas. Gúímíd gach uile rath uirthi ina phost agus ina shaol nua thuas faoi'n dtír. 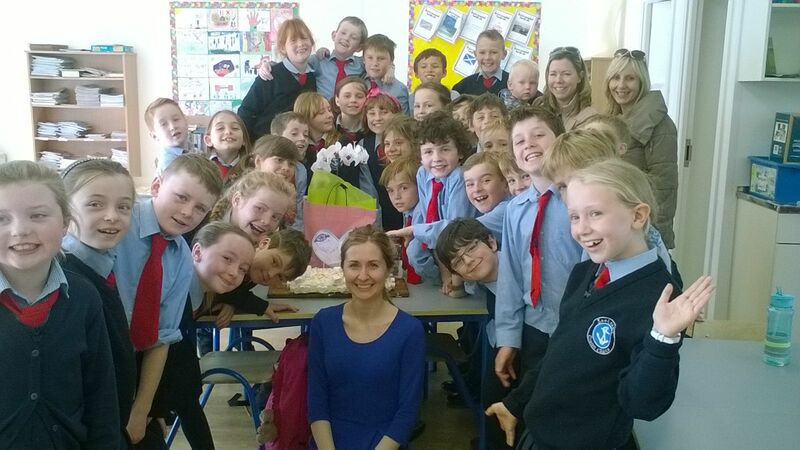 I'm sorry to say that Múinteoir Alma Ní Riain is leaving the Gaelscoil next week and starting a new job in Dublin. We are hugely thankful to Alma for the outstanding work she has done for the Gaelscoil over the years. We wish her the very best in her job and life in Dublin. 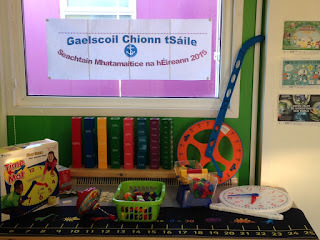 Táimid ag céiliúradh seachtain mhatamaitice na hÉireann 2015 ar scoil an tseachtain seo ar fad. 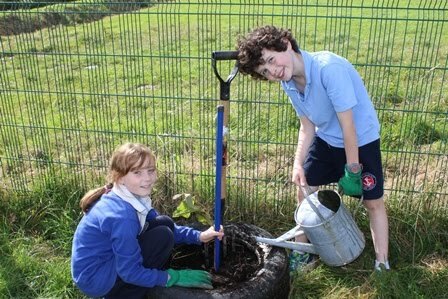 Beimid ag imirt cluichí mata, ag déanamh tóir mata timpeall clós na scoile, ag foghlaim faoi George Boole agus tá ranganna 4-6 ag glacadh páirt i gcomórtas MangaHigh ar líne. Táimid ag lorg tuismitheoir a bhfuil post acu ag úsáid mata go leathúil i slí suimiúla, difriúla. 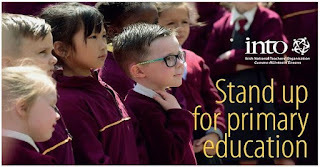 Má tá duine agaibh sásta teacht isteach agus labhairt le rang bheimis ana bhuíoch. Cuir glaoch ar an rúnaí Hilda. We are celebrating maths week 2015 all this week here at the Gaelscoil. We will be playing lots of maths games, doing a maths trail around the school yard, learning about George Boole and 4th-6th class are participating in Mangahigh online maths competition. We are inviting a parent to speak to a class. We are looking for any parent who uses maths in their daily occupation in an interesting/different way and who would be willing to speak to the pupils all about the importance of maths. Please contact Hilda if you are interested and available to speak this week. Tá Múinteoir Eavan ag pósadh an Aoine bheag seo sa Spáinn! Bhí céiliúradh bheag againn sa rang di inniu. Gúímíd gach rath agus árd uirthi agus ar Daniel. Múinteoir Eavan is getting married this Friday 16.10.2015 in Spain. We had a little celebration for her in the class today. We wish herself and Daniel all the very best. Tá treanáil i ndiaidh am scoile ag tosnú ar an Luan, 12/10/15, óna 2.30-3.30 i.n. Tá fáilte roimh buachaillí agus cailíní rang a 3 agus rang a 4. Cosaint fiacla riachtanach. 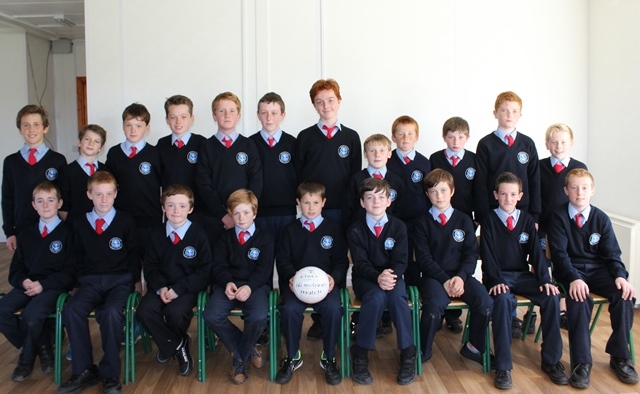 After school football training for 3rd and 4th class boys and girls will begin this Monday 12/10/15. It will run from 2.30-3.30 pm. Gum shields necessary. Múinteoirí Ciara Ní Chonchúir agus Róisín Ní Mhathúna. Chuireamar crann fearna inniu (07/10/15) chun lá na gcrann a céiliúradh. Tá rang a 2 is rang a 3 tar éis clár nua spóirt (new sports programme) a thosnú. Super Troopers is ainm don chlár. Beidh an-spraoi acu lena dteaghlaigh (great fun with their families). Gach lá mar chuid den obair bhaile beidh píosa aclaíochta (physical exercise) ag gach duine sa chlann! Tá súil againn go mbeidh an-spraoi ag gach duine is go ndéanfaidh sé maitheas dár sláinte ar fad (benefit all our health). Go n-éirí libh go léir is bainigí taitneamh mór as! 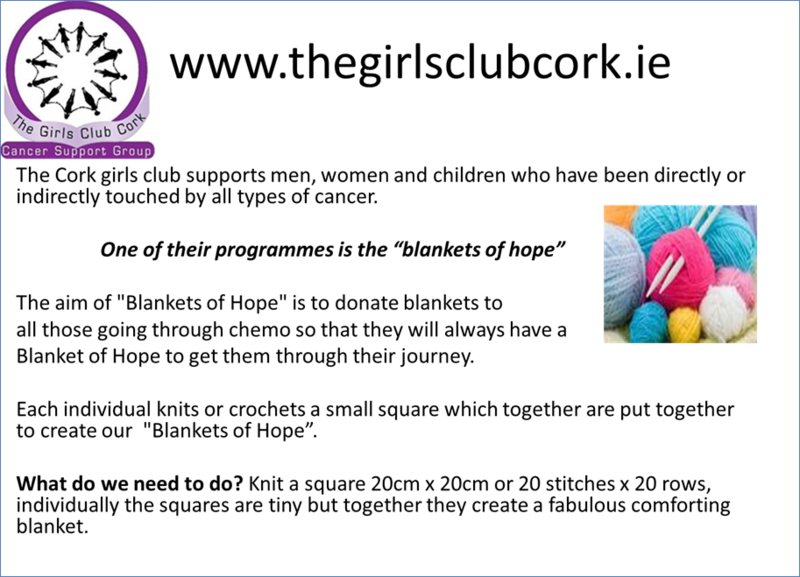 Beidh an chluiche Sciath na Scol V Naomh Eltin NS ar siúl níos luaithe, 11.30 r.n. 07/10/15. Sciath na Scol football match is now taking place at the earlier time of 11.30 a.m. 07/10/15 in Kinsale GAA pitch. Bígí linn! Tá Nóta ana thabhtach (very important letter) i mála scoile do pháiste inniu 6/10/2015 maidir leis an Lathaireán Tiomáint Timpeall ( Drop-Off Zone). Léigh go curamach é ( read carefully) agus lean na treoracha ina leith ( follow the instructions). Dé Céadaoin 07/10/15 ag a 12.00 i.n. Ní bheidh treanáil ar siúl i ndiaidh am scoile ar an gCéadaoin 07/10/15 mar thoradh/football training on Wednesday 07/10/15 is cancelled as a result. Tá lá taithneamhach ( fun day) beathaithe againn do rang a 3 ar an Déardaoin seo chughainn an 8/10/2015. Lá ag diriú ar tógáil fóirne( team building) agus turas go Charles Fort( trip to Charles Fort) ague picnic deas. Beidh praghas 4 ar an dturas, le hioc le Eavan. 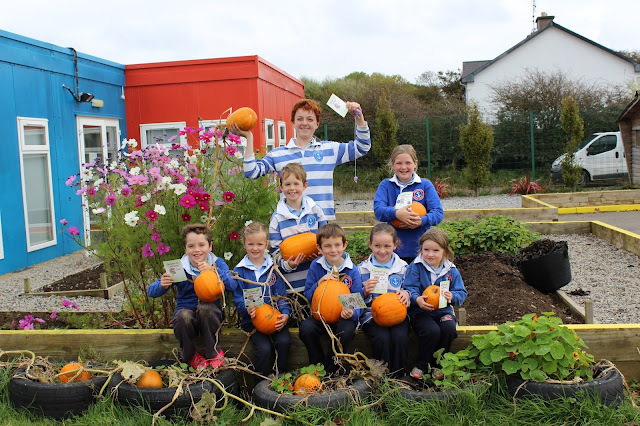 Tá cead ag na páistí i ranganna a 1-6 rud amháin atá speisialta a thabhairt isteach amárach, an Aoine, 02/10/15. Aon rud, cosúil le teidí/ buataisí peile/ ghrianghraf srl. Beidh siad ag taispeaint an rud seo leis an rang agus ag míniú leis an rang cad ina thaobh a bhfuil an rud seo speisialta. Ansin tógfaimíd ghrianghraf don fhillteán SALF. Pupils in 1st- 6th class have permission to bring in a special item to school, this Friday, 02/10/15. This item could be a teddy/ football boot/ photo/ anything that holds sentimental value or that describes their personality. They will be invited to speak to their class about the item and to then take a photo with their item for their SALF folder. Aire a thuismitheoirí ! / Attention parents ! Tá cásanna míoltóga gruaige sa scoile faoi láithir. Táimid tar éis plean a fháil ó poitigéir áitiúil chun an fadhb a réiteach. Léigh na treoireacha anseo go curamach le bhur dtola. There are head lice cases throughout the school at present. We have worked with a local pharmacy and devised a school plan in order to tackle the issue. Please read the document carefully and follow the instructions. 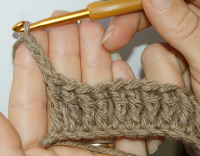 Crochet ag tosnú i rang a 6 amárach (2-10-2015) dóibh siúd go bhfuil suim acu ann. Mo bhuíochas le tuistí na scoile atá ag cabhrú le cniotáil agus crochet a mhúineadh. Crochet is starting with 6th class tomorrow 2nd Oct 2015 for those who are interested.